CII Indian Women Network Goa Chapter organised financial camp at Neslte Bicholim and Ponda Factory.The focus of this camp was to educate women in the taking financial decisions in a right and a proper way. 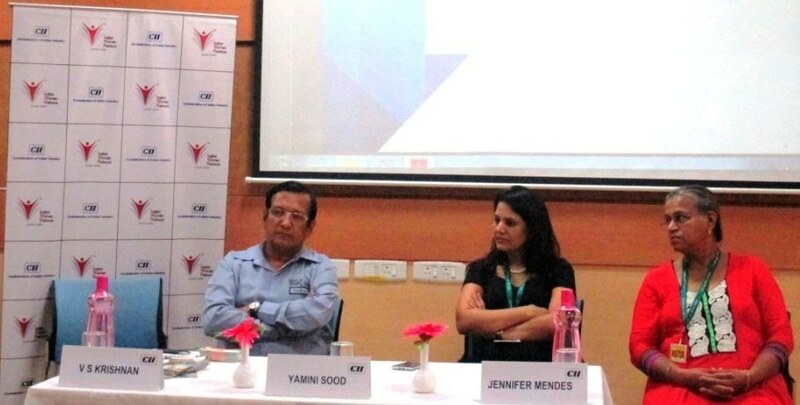 Ms Yamini Sood, Vice President - Sales ,DSP BlackRock Investment Managers started the session by stating that most of the women do not take their financial decisions due to lack of knowledge. She clarified the difference between savings and investments. Further, she spoke about different ways of investments such as property, bonds, gold, PPF, individual stocks, bank deposits and mutual fund etc. Also spoke on advantages, types, and convenient ways of investing in Mutual funds. Mrs. Jennifer Mendes in Nestle Bicholim and Ms. Andrea Rodrigues in Nestle Ponda were also a part of this panel discussion. The session ended with an interactive questions and answers where topics on financial planning were raised by the participants.